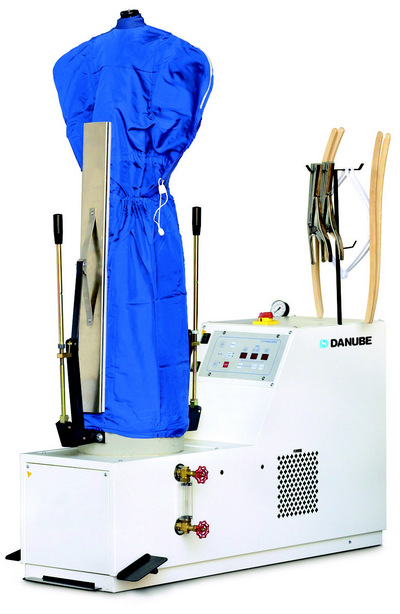 Ideal unit for the finishing of coats, jackets, dresses etc. The working cycles are completely automated thanks to an electronic card, with which it is possible to set nine different cycles, and to regulate the steaming and the drying time. 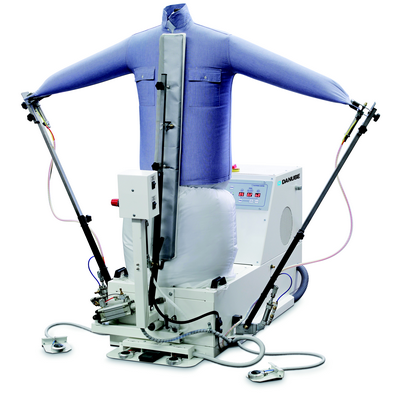 Both shoulder width and height of the dummy are adjustable. The dummy support (frame) along with its controls can carry out a 360° rotation. Fully automatic working cycle by electronic card. Without steam boiler, to be connected to a central steam supply. It needs a steam inlet and outlet. Complete with built-in steam boiler, 18 litres. Two sleeve stretchers with double independent traction. Front heated and reclining panel. Automatic carriage with photocell for the stretching of side and back part. Button placket part of the dummy with suction. Electronic card featuring 19 programs for an automatic working cycle. Pneumatically operated air flow regulation device. 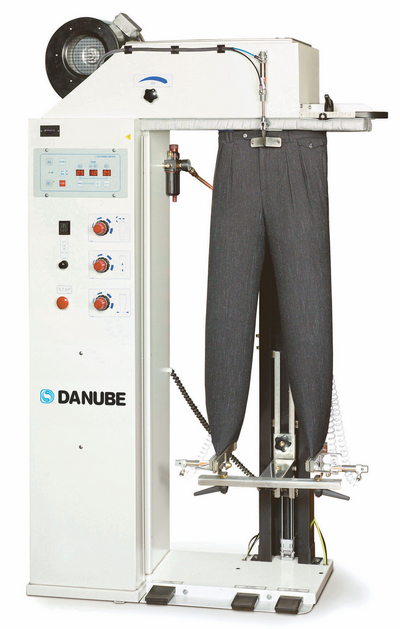 Pneumatically adjustable height of dummy. To be connected to a steam and compressed air supply. Telescopic shape till 1500 mm. Special 350° revolving body form and automatic front and rear paddle clamps. Sensor for automatic research of the height of garment. Double antistretching system in width (waist) and height (length). Mechanical adjustable shoulder group and dedicated collar clamp. Height adjustable leg stretching carriage and leg clamps made of stainless steel. Built-in three phases fan. Air heating device. Electronic card for the setting of 9 ironing cycles in total. 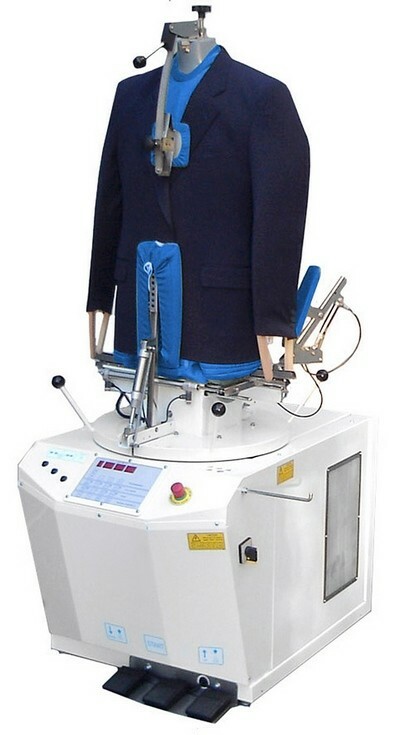 Ironing cycle controlling: steaming time, steam/air time, drying time. Three pressure regulators (for leg clamps, waistband stretcher and leg stretching carriage). Switch for the exclusion of the leg stretching carriage.